Johnnie Alexander has crafted a heart touching sequel to the first novel in the series titled “Where She Belongs” where the story line begins. In book one we meet Shelby recently widowed with two little girls and her move to Misty willows. Also there is a young man named A.J. who through various seasons of his relationship with Shelby as it comes to an exciting and wonderful conclusion. There are other characters and happenings in the book; one character who takes the center stage in book 2 is A.J.’s cousin Brett. Brett at first is a love and leave ‘em kind of man used to having money to spare and no cares about how he treats others until his life becomes more complicated by unforeseen changes. Brett’s self-centered personality begins to change as he wonders if he will ever get to see his son and meets a single woman named Dani. What he doesn’t know is what ties the two of them together and when he learns about the event he sets out on a course he never has explored. Johnnie Alexander weaves a very believable drama with faith issues that I believe most readers will be able to identify with in some way . Dani’s past surfaces little by little in the story as well as her original intent on facing Brett. I really enjoyed reading how hearts, minds and souls were touched and changed from the beginning of the book till the end. Seeing how some characters had to reach the very bottom of their lives before they would reach out for help, or acknowledge their need for God struck me as pretty real. Coming in Summer of 2017 there will bea 3rd book in this series though the title has been revealed at the end of the book a teaser is included for interested readers. I hope you enjoy both books before the 3rd one is released so you can follow the plot, understand some of the characters personal histories as they are revealed. 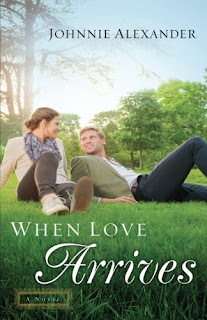 Romance, faith, family seemed to be the three main threads of the books I wonder what you will see when you enjoy them? Enjoy the journey of discovering faith and love n the Misty Willows series!